I am Aziz Abdul Adam and I have been indefinitely detained on Manus Island for six years. Thank you for taking action to get kids and their families off Nauru for urgent medical treatment. I am so happy they are safe in Australia now. I have seen 12 of my brothers lose their lives from violence or mental illness on Manus and Nauru. Men on Manus in need of medical care. I take care of at least 30 people who have harmed themselves and don’t have anyone else to turn to. I cannot tell you how hard it is to live with physical and mental pain and trauma when you don’t know what’s going to happen to you in the future. I have been watching men beside me get sicker and sicker. They are taken to Port Moresby for hospital or other treatment, but come back still sick. Some have had the wrong treatment that has made them worse. I talk to them and try to give them some hope, I am their friend and their counsellor. To each other we are the family that we have all been separated from for over six years. I am not a doctor but I try to do my best. I get very tired and I am traumatised myself. But I stay strong for my brothers, we get through together. You and a big community got kids on Nauru transferred for medical treatment in Australia to save their lives. Sick people will die in offshore detention without urgent medical treatment. Your MP will listen to you. Our lives are in their hands next week. 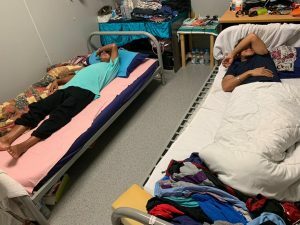 The ASRC released data on the medical condition of 49 cases from their case-work to show that most people on Manus and Nauru have been waiting for 2 to 3 years, with some waiting more than 5 years. The local doctors on Manus don’t want to treat us, they send police when someone attempts suicide instead of a medical nurse or doctor. We are living with painful sickness like kidney stones and cardiac conditions for years. They struggle to do everyday things and feel so hopeless they harm themselves and attempt suicide. On Twitter I watch Prime Minister Scott Morrison trying desperately to convince your Parliament that sick people are a threat to your national security, while many men here become permanently disabled or need extensive medical and psychiatric care to ever get better. I really miss my family so much, no words can describe my feeling at the moment. My hopes and my future depend on the lives of the men on Manus. We will watch Parliament together next week and I look forward to the day we can meet somewhere when I am free. 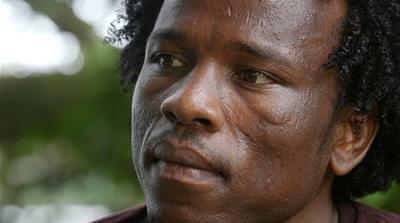 Human rights activist detained indefinitely on Manus Island by the Australian government. Follow Abdul Aziz on Twitter.